Silverline Montessori is a leading preschool and elementary school providing a quality Montessori education in Pearland, Texas. The school is conveniently located within Shadow Creek Ranch, a small lake-themed master-planned community in Pearland, just south of Houston. Houston is the most populous city in Texas, and a global hub for business, international trade, education, and entertainment among other things. As one of the fastest growing cities in Texas, Pearland is known for its affordable housing, high quality of life, and safe neighborhoods like Shadow Creek Ranch. Millions of square feet of office, retail and residential construction have been completed over the past 10 years, putting Pearland on the path to become the next major employment center in the Houston region. Bordering the southeastern section of Shadow Creek and less than a ten-minute drive away from Silverline Montessori, lies Pearland Town Center. This open-air lifestyle shopping mall, conveniently located right outside of Shadow Creek Ranch, houses favorite family stores including The Children’s Place and Toys R Us Express. Pearland’s Recreation Center and Natatorium offers Pearland families a host of amenities and fun activities including a full-sized competition pool, swim lessons, basketball and racquetball courts, spinning, yoga, Zumba, and much more. Pearland also offers plenty of outdoor recreational opportunities, which can be found at places like Southwyck Golf Club, a links-style golf course that offers a golf academy for adults and junior programs for children. For even more outdoor fun with the family, Pearland offers numerous parks and sports complexes that include covered picnic areas and multi-purpose fields. Pearland is also known for having beautiful natural scenery, which can be found at the Shadow Creek Ranch Nature Trail and John Hargrove Environmental Complex and Wetlands. Silverline Montessori preschool and elementary school families enjoy everything that Pearland, Texas has to offer including professional sports, superb recreation and cultural amenities. Silverline Montessori School Shadow Creek campus is located just a 20-minute drive south of the booming Houston metropolis. The City of Houston is home to a variety of popular kid-friendly destinations, including the Downtown Aquarium and Houston Zoo. Perhaps the most famous stopping place is Space Center Houston, the official visitor center of the Lyndon B. Johnson Space Center, which hosts many educational programs. Another family favorite is the Children’s Museum of Houston, “A Playground for Your Mind,” and America’s number one children’s museum according to Parents magazine. 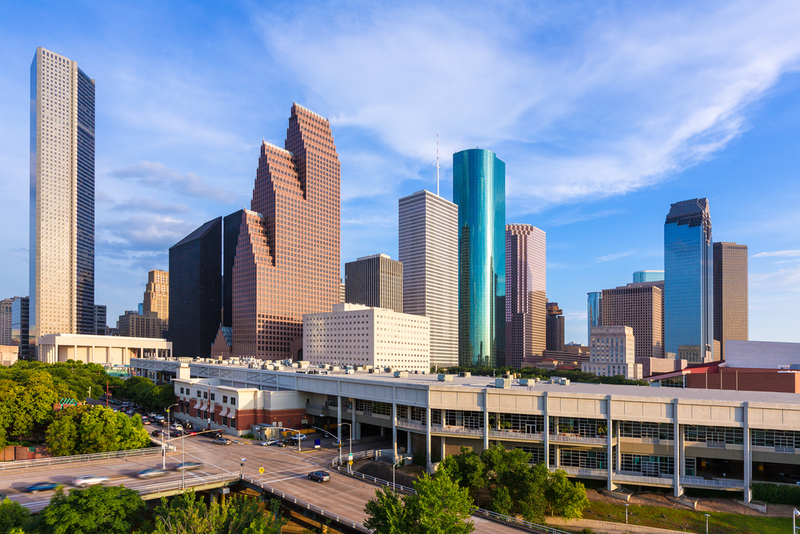 To go along with all of the entertaining educational opportunities found in Houston, the city is also home to a flourishing arts and culture scene, with places that are specifically geared toward children. Express Children’s Theatre and Main Street Theatre, for example, are a couple Houston’s performing arts organizations that are dedicated to featuring children’s plays like Junie B. Jones and Stuart Little. The Houston Grand Opera and Houston Symphony are also well-known for organizing community events and performances for children and families. Silverline Montessori School is proud to serve the Shadow Creek Ranch and Pearland communities with a top-notch Montessori curriculum accredited by the National Independent Private School Association, AdvancED, and the American Montessori Society. Silverline offers Montessori programs for infants, toddlers, preschool and elementary-aged children. From the youngest age, Silverline at Shadow Creek provides practical and hands-on math, science and engineering experiences that prepare each child for work in these fields. Silverline Montessori makes it a priority to engage and develop each student’s creativity through the full integration of the arts within an academic program. Silverline students in both preschool and elementary school are motivated to internalize the importance of collaborative teamwork and sportsmanship. Silverline Montessori School in Shadow Creek is also only a 45 minute drive from George Bush Intercontinental Airport. To get to Silverline Montessori School – Shadow Creek, head east on Will Clayton Parkway, turn right onto Eastex Freeway Service Road, and use the left lane to merge onto the I-69. Head south on the I-69 for about 20 minutes, then use the right two lanes to merge onto State Highway 288 S. Continue on the TX-288 for about 10 minutes, then take the exit toward Farm to Market Road 2224/McHard Road/Shadow Creek Parkway. Merge onto S Freeway Service Drive and then turn right onto McHard Road/Shadow Creek Parkway. A final left turn onto Reflection Bay will leave you at the doorsteps of Silverline Montessori School – Shadow Creek. Similarly, Downtown Houston is less than a 25 minute drive from Silverline Montessori School in Shadow Creek. To get to Downtown Houston from Silverline Montessori School – Shadow Creek, head north on Reflection Bay Drive and make a right onto McHard Road/Shadow Creek Parkway. Turn left onto Highway 288 Frontage Road and use the left lane to take the ramp onto State Highway 288 N. Continue on TX-288 N for about 10 minutes, then use the right two lanes to merge onto I-69/US 59 N toward Cleveland and Take the Polk Street exit and Continue on Chartres Street for half a mile. A final left turn onto Capitol Street will leave you in the heart of Downtown Houston.